(NASHVILLE, Tenn.) September 3, 2013 — Big Visual Group has been named on the prestigious Inc. 5000 list for 2013, ranking at No.1983. 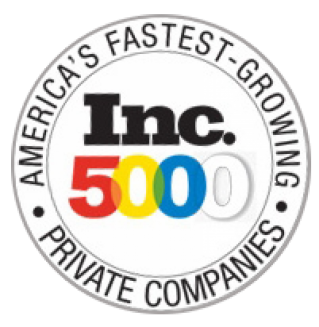 Companies listed on the Inc. 5000 are ranked according to percentage revenue growth over a four-year period. Referred to as “model links” in corporate supply chains, businesses that are featured on the Inc. 5000 are innovative and often earn reputations by virtue of how well they perform within their niche industry—growing largely through references and referrals from satisfied, loyal customers. Big Visual Group was also recognized by Inc. 5000 as No. 55 on the “Top 100 Manufacturing Companies” list and No. 25 on of the “Top Tennessee Companies” list. Big Visual Group is more than a print shop; BIG is a 40,000 square foot digital graphic design and production facility located in Nashville, TN. With agency-level graphic design services and the most technologically advanced equipment in the industry located in-house, we are your one stop shop for your brand’s visual identity, from concept to completion. BIG offers highly customized solutions for all of your marketing and visual communication challenges, including large and grand format printing, small format digital printing using HP Indigo technology, banners, fleet graphics and vehicle wraps, architectural and three-dimensional signs, digital signs, trade show and event displays, point of purchase materials, and building signs. Big Visual Group is G7 Certified for color accuracy. To learn more, call 615-731-3700, or visit them online at www.bigvisualgroup.com.